The Chicago Blackhawks have lost four games in a row, and head coach Joel Quenneville has taken a sledgehammer to his line combinations as he is apparently ready to start from scratch. Jonathan Toews and Brandon Saad, who have been grouped together for much of this season, are separated in the new lines, which were revealed during the team’s morning skate at the Capital One Arena in Washington Wednesday. Toews, who has just two goals in his last 24 games, will instead be paired up with Ryan Hartman and John Hayden on the team’s top line when they play the Capitals. As for Saad, he will join Artem Anisimov and Patrick Kane on the second line as Quenneville seeks to get more offense out of the winger. 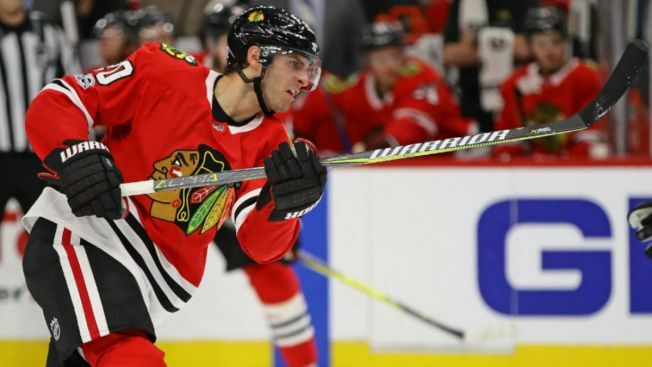 Saad has also been struggling of late, scoring only three goals over the last month, and he’ll be hoping to take his game up a notch with new partners on his line. Rookie sensation Alex DeBrincat will remain on the third line, with Lance Bouma and Nick Schmaltz taking over as his linemates. Finally, Patrick Sharp, Tommy Wingels, and Richard Panik will serve as the team’s fourth line for their game against the Caps. After winning four out of five games, the Blackhawks have tumbled back to Earth, losing four in a row and scoring a combined eight goals in those games. They’ve only managed one power play goal in 17 attempts in those contests, and Quenneville also shook up those groupings a bit, putting Kane as the point man on the top power play unit. The Capitals and Blackhawks will hit the ice at 7 p.m. in a game that will air nationally on NBCSN.